Transcription for Everyone - Quality & Service Guaranteed! Receive FASTER service FREE! Contact us now! TFE – The World's Premier Jewish Transcription Company. 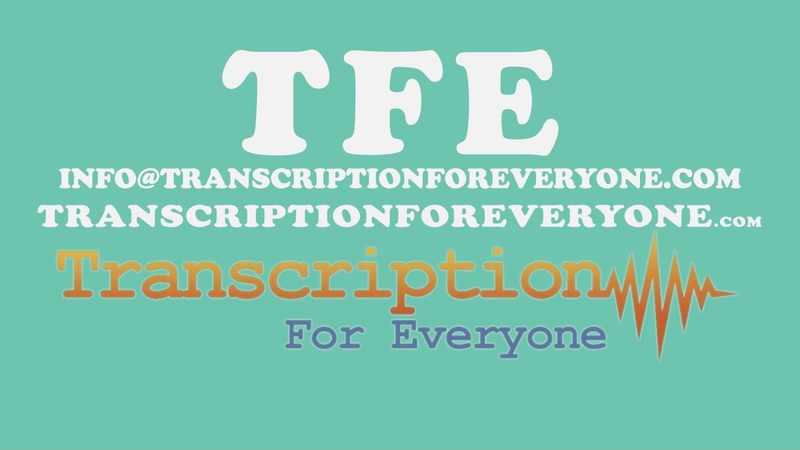 TFE is the world's best and ideal English transcription company. Working with TFE is as easy as "ABC". We are an elite group of American, British and Canadian transcribers and editors who work together to ensure the highest-quality transcripts for our clients. However, the truth is we do much more than just that. Israel is unique in that we have many Jewish immigrants from mother-tongue English-speaking countries. We hire only those with university degrees and many come with young families. They are highly motivated to succeed and this drive guarantees that success. These ingredients facilitate exceptional customer service, honesty, ethics and top-grade quality transcripts at very competitive prices. We employ over 70 part-time transcribers and editors and can easily handle 20+ hours of audio per day at client-ready quality. Our team works tirelessly to make guidelines as complete as possible so all transcripts are consistent and exactly to clients' needs. We are on the forefront of the transcription industry by building software to facilitate the transcription process. We implement automatic file converters and renamers, macros to automate the technical aspects for the transcribers and, most impressively, can build a QA program which checks every aspect of a transcript for true perfection. We've recently implemented these strategies for a large New York court. Transcripts you think are printer-ready may truly have many embarrassing and unacceptable errors. There is no better method to quality control and proper monitoring of your service providers. Please contact me for a demonstration to see the software we have developed in action. You can also click on this sentence to see some videos of the software in use. You will find these three videos truly revolutionary to the industry. Our transcribers undergo an extensive training program, even those coming to us with experience. We understand the importance of due diligence and research when it comes to transcribing so that no word goes unchecked or properly researched. We ensure guidelines are thorough and complete for consistency and correctness. Our team strictly use over-the-ear quality earphones for accuracy, ergonomic keyboards and large monitors for efficiency, and every transcript is fully audio edited by a senior audio-editor. This means that we're going over every transcript after the transcriber is finished with it, while listening to the audio, to ensure nothing was missed and everything accurate. We truly take pride in the quality of our work and appreciate the opportunity to provide you with excellent transcription service. Our transcripts come certified with your satisfaction guaranteed. We can turn around high volumes of audio in short time, without sacrificing quality. Confidentiality is of strictest importance to us, second only to our quality control and client satisfaction. We are your partner to assist you in completing your transcription requirements to your clients. We are experts in legal and general transcription. Depositions, board meetings, and court hearings are our specialty. We understand what it means to produce a legal document, verbatim transcription, and can supply literally any format you request. We will work with you and improve your guidelines where necessary to make them more thorough and complete. Our transcripts have a proven 99.97% accuracy rating, and come with a money-back guarantee. We employ secure servers and protect clients' rights and confidentiality. We are responsible, reliable, and credible with our transcripts. We only accept work we know we will do an incredible job on, and always meet our deadlines. We care about the quality of our work and take pride in our expertise. We value feedback in order to improve. We produce a professional transcript with cover page, table of contents, and certify our work. We use the industry-standard audio player and MS Word to produce our documents, though we can produce your transcript in whichever format is most convenient for you. Be sure to check out our testimonials page! Send us your audios today! Soon you'll be joining our happy customers in saying TFE – Thanks For Everything! We are familiar with the unique requirements of deposition transcripts. Our team is hand picked and trained in-house to assure excellence. At Transcription for Everyone, we use highly educated typists and editors who are experienced in preparing legal transcripts. 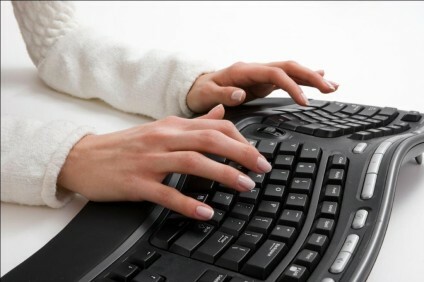 Our typists are well versed in the conventions required for depositions. We can provide countless examples of transcripts, and understand the nuance of verbatim witnesses and clean-read lawyers on the same transcript. We hire only the most capable staff, have developed a business model for assuring excellence, and are industry experts. This allows us to provide our quality services to you at unbeatable rates. Send us your audios today. You will see for yourself that our staff is honest and meticulous. Our transcripts speak for themselves. Our team is made up of today’s top editors and transcribers in the legal field with real experience and knowledge. Our native-English speaking, university educated professionals provide unmatched excellence. We know that your deposition transcripts need to be correct, and we beat our competitors with a proven 99.997% accuracy rating each and every time. Trust us for all of your legal transcription needs. We scrupulously adhere to your complex formatting guidelines – down to the last detail. You will find our transcripts to be head and shoulders above the competition, because our staff really cares about the final product. Our experts have prepared numerous depositions. We are familiar with the software, the guidelines, and the nature of your work. We make ourselves accessible to you by phone or Internet to best assure that we address your specific needs and meet your high standards. That is what our clients deserve. Whether you need your files in a hurry or you prefer to save money with lower rates and longer turnaround times, you are the boss. Whatever you choose, you will find our staff honest, dependable, and efficient. We pride ourselves on using the most up-to-date equipment and creating the highest quality transcripts at a cost of 40% less than what you are used to paying. Our work ethic is the secret of our success. In order to ensure flawless documentation, every file is fully audio edited by an experienced specialist before it is sent to you. We recognize the necessity of listening to files more than once to get them exactly right. We invest the time and effort to do this, and as a result our clients continue to use our services. Count on us for precision. Our superiority, affordability, and speed will make you another one of our satisfied clients – guaranteed. You’ll begin to wonder how you managed preparing depositions without us!